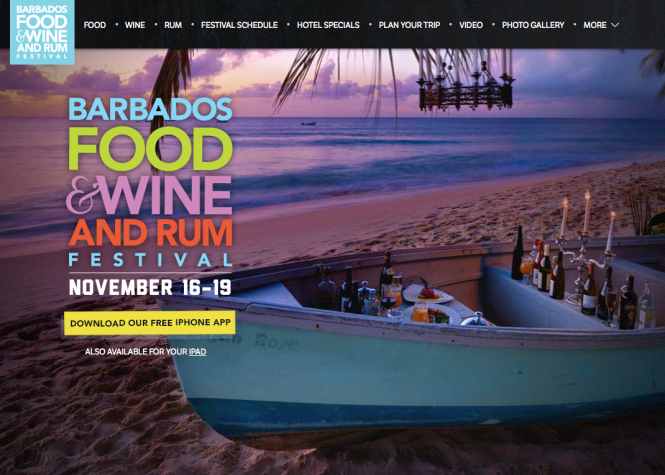 Last weekend I was in Barbados at the Barbados Food & Wine and Rum Festival, sponsored by Food & Wine and American Express Publishing. 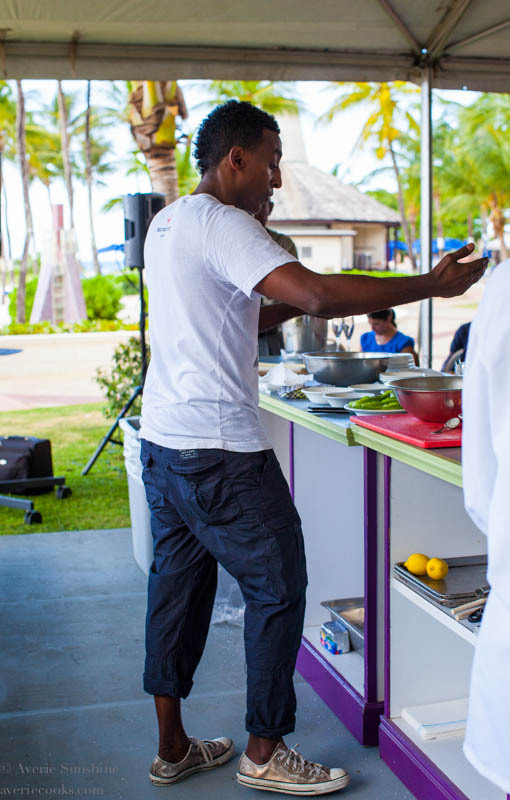 It was the culinary event of the season in the Caribbean, with famous chefs from all over the world in attendance. 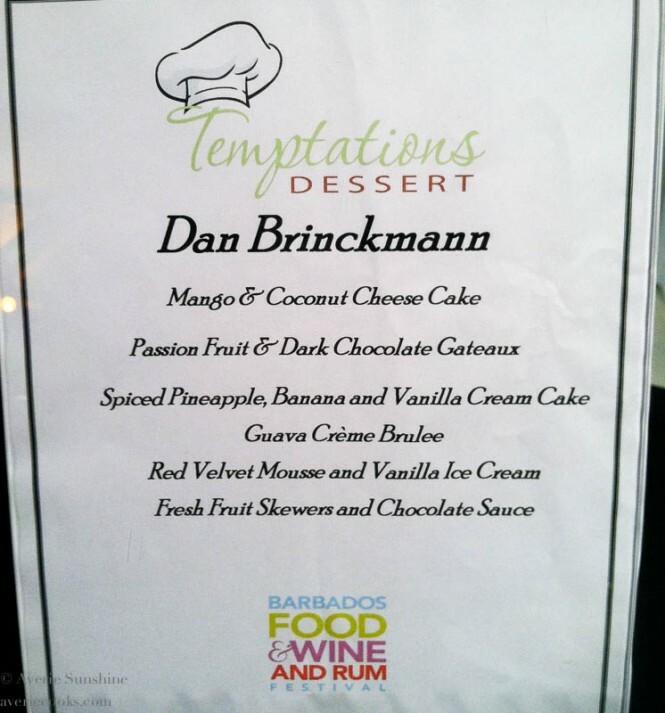 Barbados is a gorgeous place and was the perfect backdrop to help showcase the natural beauty of the food. 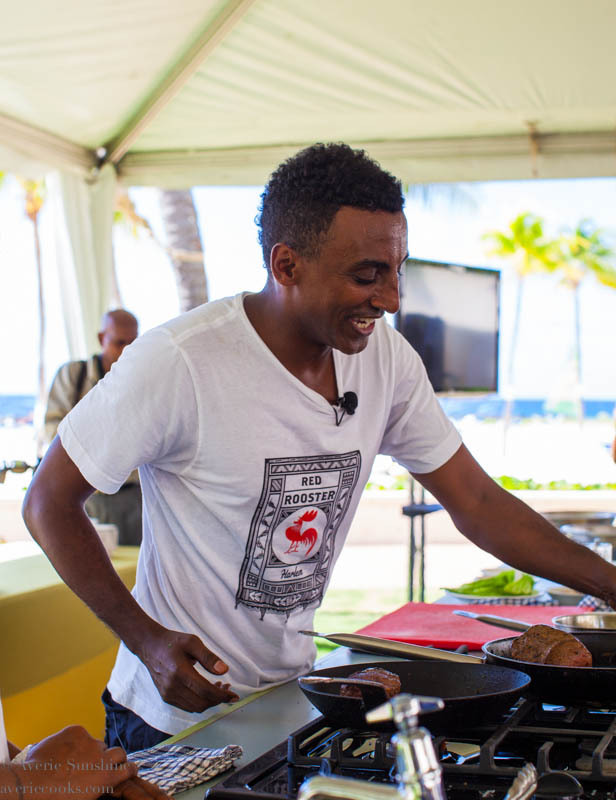 On Saturday, I watched a sold-out outdoor cooking demonstration for a crowd of 200 put on by internationally acclaimed chef and author Marcus Samuelsson. I’ve long been a fan of his since his 2010 win on Top Chef Masters and the James Beard Foundation recently honored Chopped, on which he’s a judge, as the ‘Best Television Program’ of 2012. 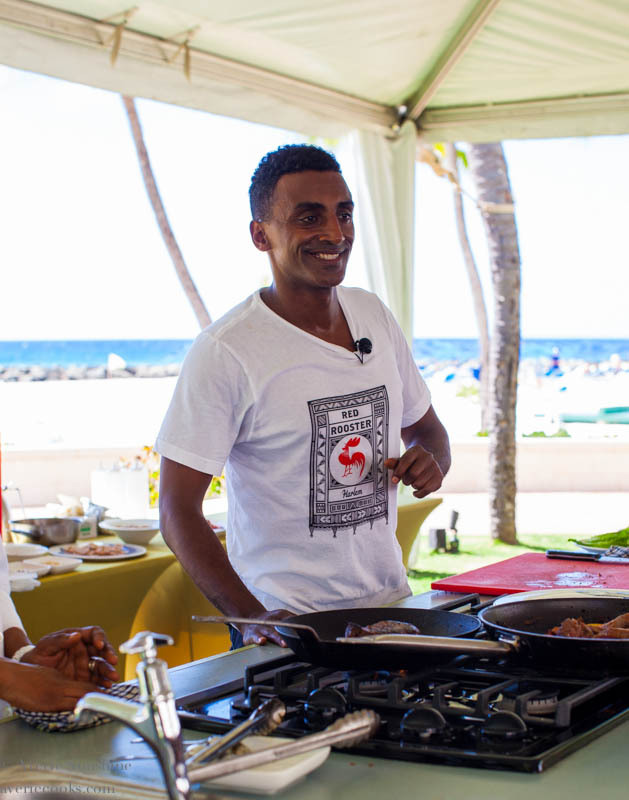 While Marcus cooked, with waves crashing in the background on the grounds of the Hilton Barbados, he spoke about the path that led him to be a guest chef at the White House under the Obama administration. He planned and executed the administration’s first state dinner for the first family, Prime Minister Singh of India, and 400 guests. He mentioned that the path to being chosen to cook that dinner wasn’t an easy one. He indicated that a tasting event didn’t go as well as he had wished, and there were scheduling snags because he was in Los Angeles taping Chopped episodes, but received word he needed to be at the White House with very little notice given, and when the President comes calling, that’s kind of important. These stories really humanized Chef Samuelsson and made me realize that even those who have ‘made it’ aren’t necessarily always basking in pure culinary confidence, and the road traveled can be bumpy and complex. Marcus has a great sense of humor, he’s kind and gracious, smiles lots, and was a natural cooking in front of the large crowd. He talked about how he likes to prepare and use rum infusions in his dishes served at his restaurant, the Red Rooster Harlem, which was music to the rum-loving crowd’s ears, and Barbados is known as the birthplace of rum. Marcus asked the audience for questions and one new-to-television chef asked him what she should do calm her nerves before she appears on camera and he said, “Drink rum infusions,” causing the crowd to break out into explosive laughter. 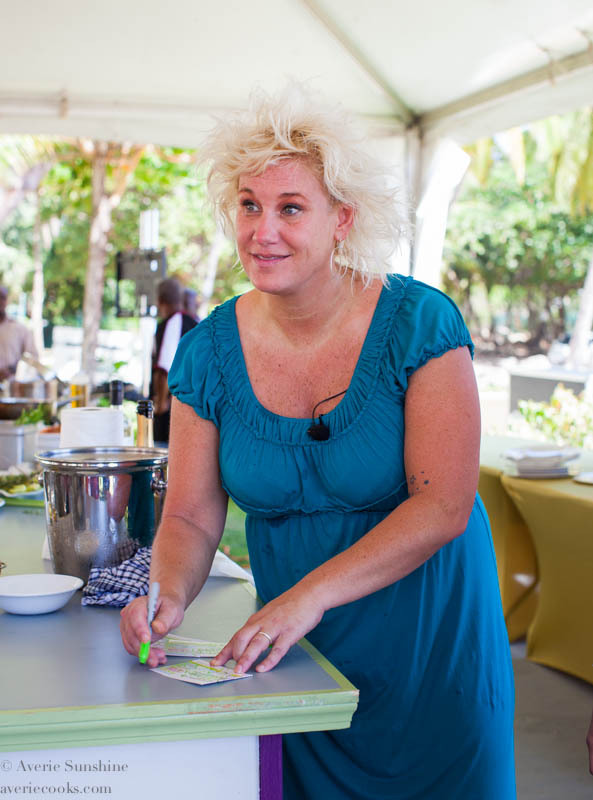 Although I didn’t have the opportunity to watch Chef Anne Burrell’s cooking demo, I did drop-in for the final moments as she was posing with fans and snapped a few images of her. She had a long line of fans and was graciously hugging her fans, posing for pictures, and signing autographs. 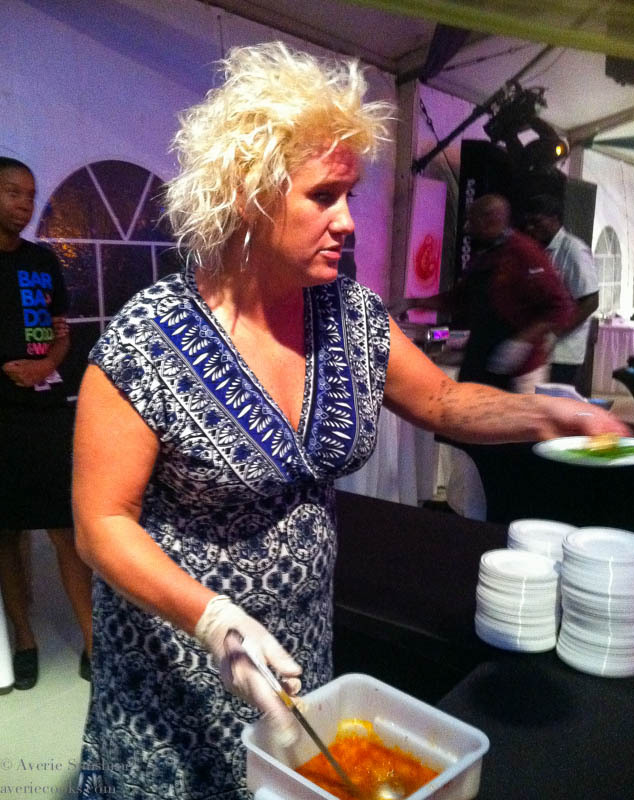 Later that night, she was also cooking at an event called Ambrosia. 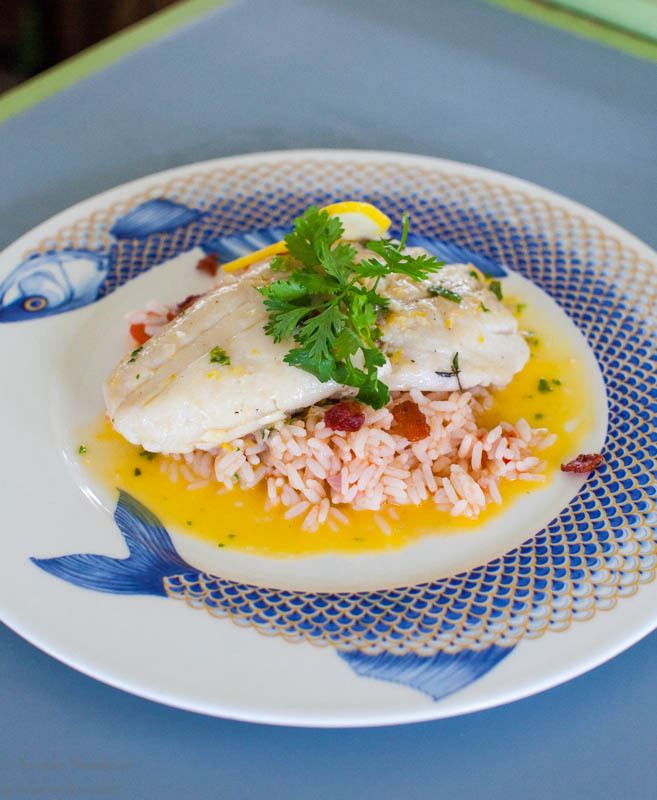 For that event, she made Seared Mahi-Mahi with Tangerine Compote. To make the compote, combine 3/4 cup water, eight ounces of chopped tangerines, 1/2 cup orange marmalade, 1/2 cup sugar, 1/4 cup champagne vinegar, one 1-inch piece peeled and grated ginger, 1 bundle fresh thyme sprigs, half cinnamon stick, half red jalapeno minced, and a pinch of Kosher salt and bring to a simmer, stirring frequently and the mixture has thickened slightly, about 15 to 20 minutes. It was sweet, tangy, with a touch of heat from the cinnamon, ginger, and jalepeno, and I loved it. 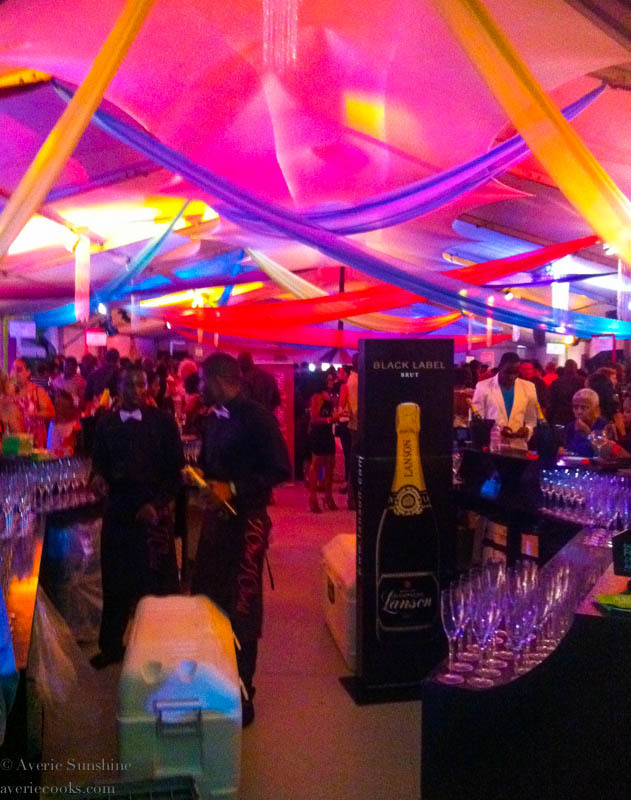 Ambrosia was held at the Lion Castle Polo Estate and featured fourteen chefs and their respective restaurants. 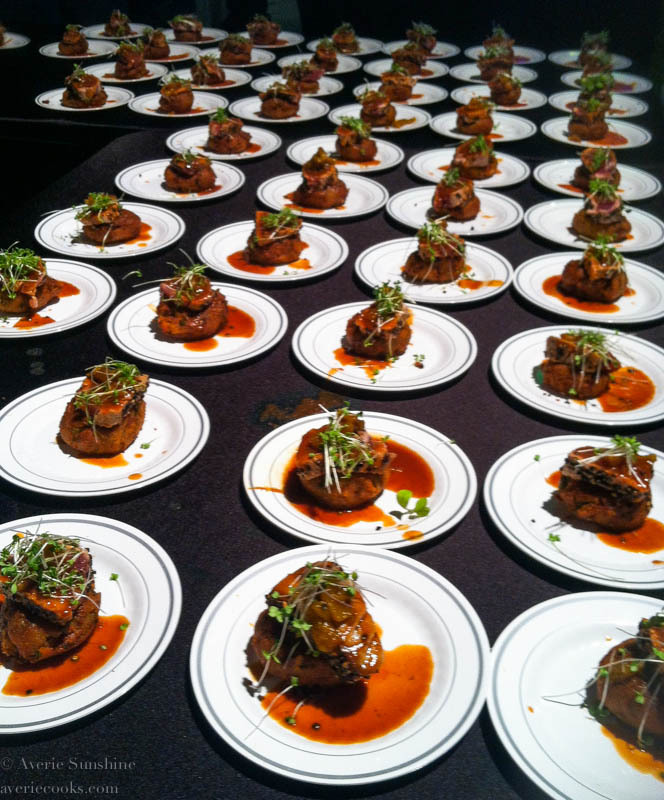 Each chef served sample-size tasting portions of one signature dish. 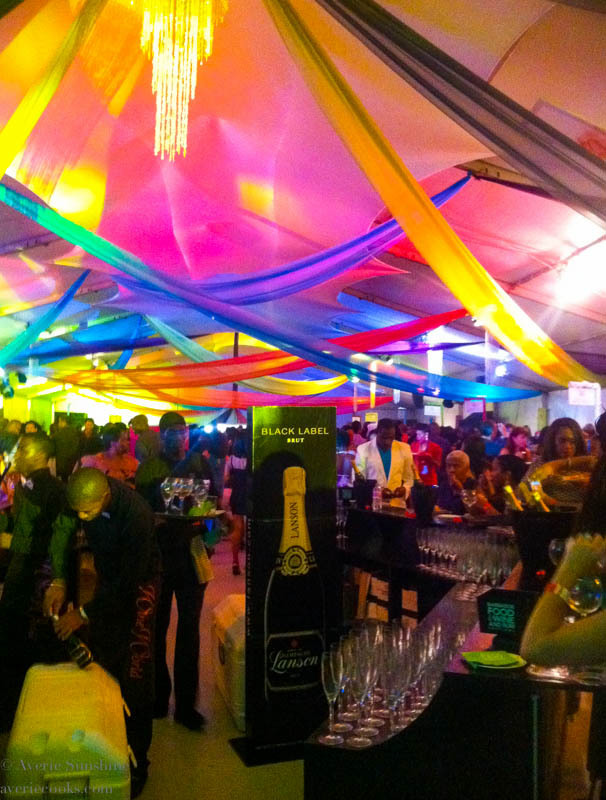 There was an open bar and the wine and locally-produced rum were flowing, courtesy of Wine World. A DJ had the music pumping and party mode was in full swing, with attendees dressed up and decked to the nines. I didn’t bring my big DSLR camera to this event, and I was grateful. The event was crowded, food and drinks were (spilling) everywhere, and it would have been very difficult to manage small plates of food and a big camera. Plus, even with the best camera, dark venues and strobe lights are very challenging. I happily used my iPhone camera instead. Barbados is known for their fish and the locals eat very little beef, and most are big fish-eaters. Athough I didn’t eat the animal-based protein in the tasting bites, there were plenty of great vegetable mashes and purees that were frequent base layers on which the fish or chicken would be layered. There was an eggplant-based croquette which I loved, that had great crispness on the exterior with a soft and meat-like interior. And I savored this sweet potato mash which incorporated microgreens, diced vegetables, and a trifecta of fabulous sauces. It was so good I went back for seconds. 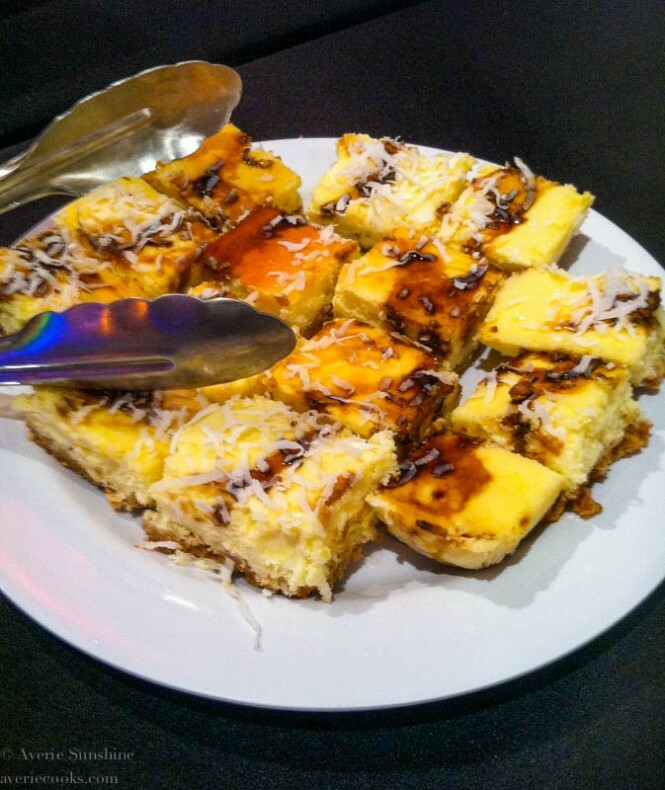 This was the Mango and Coconut Cheesecake with what tasted like a balsamic syrup or balsamic reduction drizzled on top. The cheesecake was creamy and the sauce was very intense and in case your tastebuds were sleeping, it would wake them up. 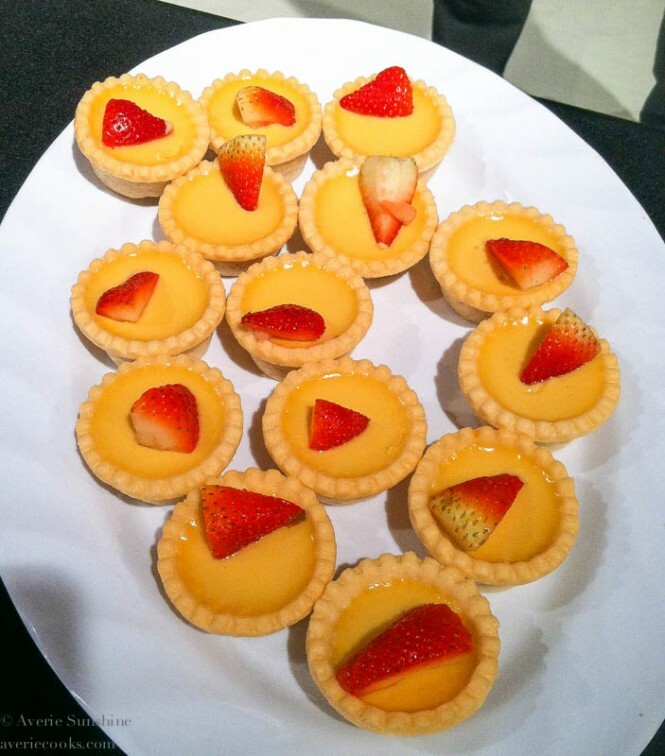 Guava Creme Brulee – I could have made a meal out of scooping the sweet and creamy guava filling from the mini pie crusts. It was much lighter and thinner than as other creme brulee fillings I’ve had. Spiced Pineapple, Banana, and Vanilla Cream Cake – The little cakes were gently spiced and made from bananas and pineapple, and were floating in a sea of whipped cream. 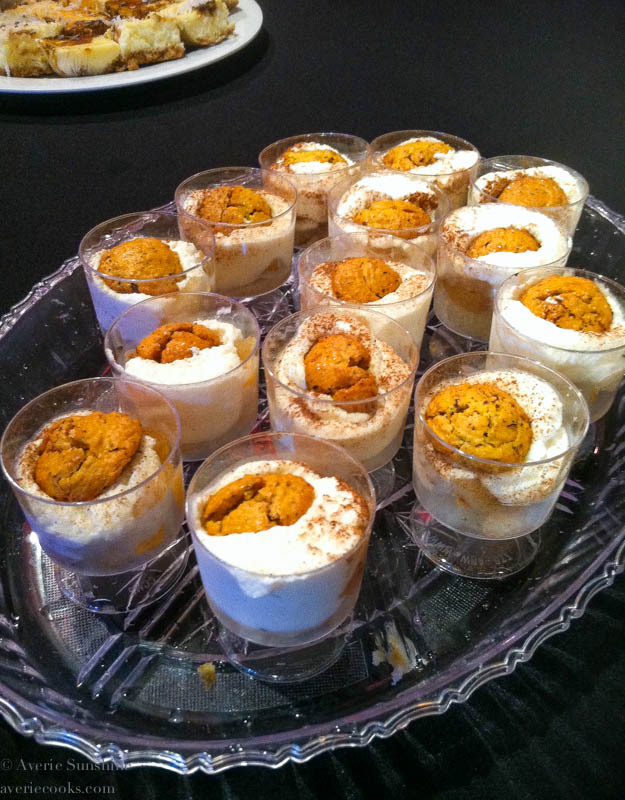 Ambrosia was a great time and it was the spotlight event of the festival, the Big Deal, so to speak. On Sunday afternoon, I watched a cooking demonstration with Chef Paul Yellin. He is an advocate of sourcing and cooking with local ingredients and teaching children where food comes from. He mentioned there’s been a recent rise of diabetes and obesity in the Caribbean and cooking healthier and educating people about healthier food choices is a priority for him. He said that salt is over-rated and that although yes, it can and does lend flavor to food, so does citrus. Then he promptly squeezed lime juice over the coconut-infused rice he made, which made me appreciate him and his style of cooking even more, as I am a no to low-salt person. He poached red snapper by placing it in a gallon-sized Ziplock bag, with coconut oil and seasonings, and then dropped the bag into boiling water, where it boiled on a touch-and-go portable stovetop. Mother Nature decided to grace us with high winds and rain for the outdoor demo but it didn’t seem to phase Chef Yellin one bit. He was funny, out-going, personable, and seemed genuinely gracious for the nice-sized crowd turnout, despite the wind and rain. This is the finished plate of local Red Snapper poached via Ziplock, and rice that he made. 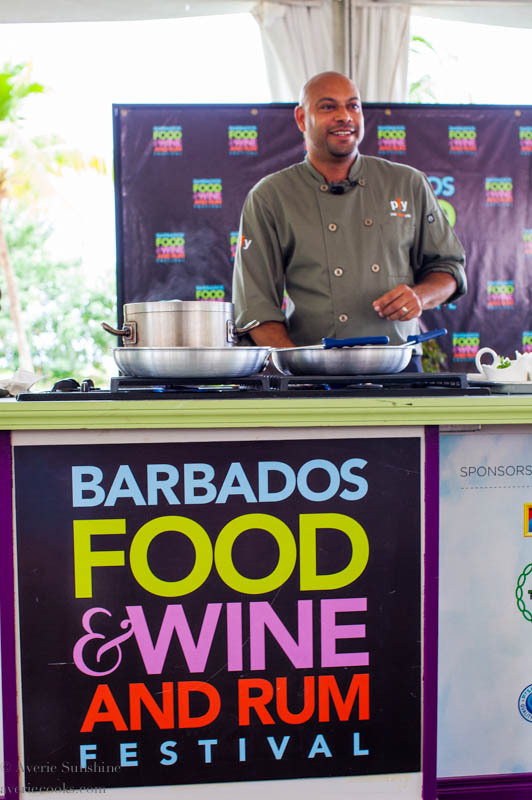 Many thanks to the Barbados Tourism Authority, Food & Wine, American Express Publishing, and to those who were involved in pulling off the Barbados Food & Wine and Rum Festival because it was such a great time and event. Although I was not in Barbados on a sit-on-the-beach vacation, for the three days I was there, waking up to this view sealed the Barbados deal for me. Or a food and wine festival, food-tasting, or food fest of any kind? In many ways, the Barbados trip reminded me of when I traveled to Mexico City a couple years back, with just a handful of people and a Saveur photographer. We photographed the real life sights and sounds of the real Mexico City, and I saw the real culture, food, and had the real-deal full-immersion experience. I saw the good and the bad, the beautiful and the gritty. Over the years I’ve been to many local food festivals. A few I’ve blogged about include a Greek Festival, San Diego Cityfest, Taste of Adams Avenue, and even Farmers Market visits can be a great way to experience locally-grown food and showcase great items from the region. 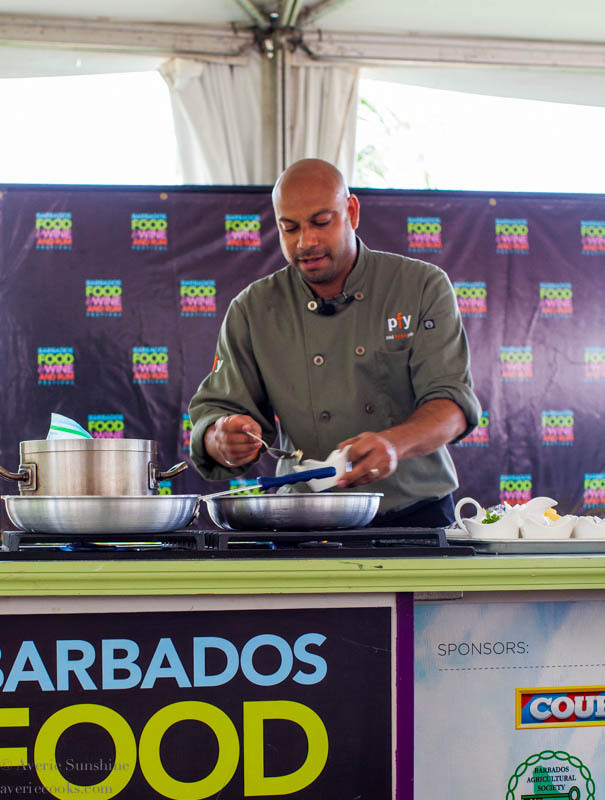 I loved the Food & Wine Festival in Barbados and love food festivals in general; all the different sights and sounds, foods and flavors, are all in one place. This looks like an AMAZING trip Averie. 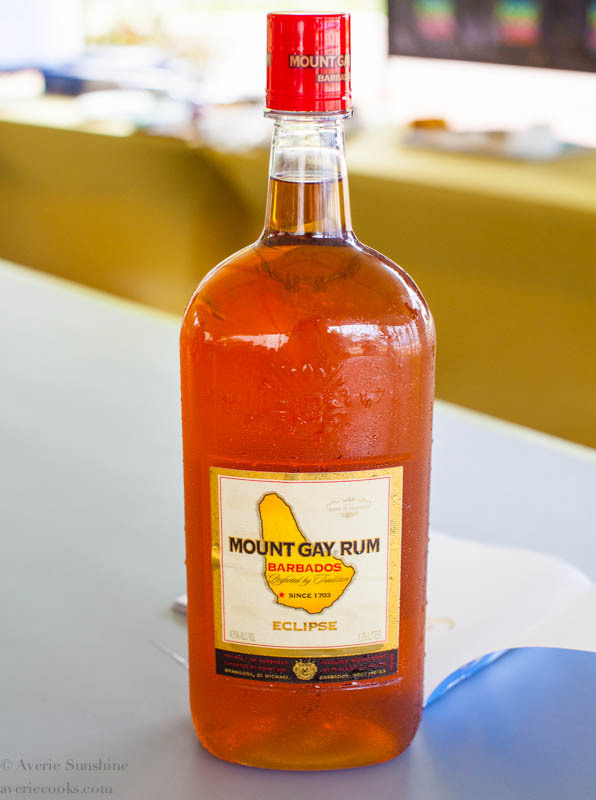 All the food, the people, the sights, the sounds, the rum… perfection. I want that spiced pineapple banana vanilla cream cake!!!! I’ve never been to a food festival before but I’ve been to a few beer festivals before! I kinda love beer. Just the girly, fruity kind!! I’m not afraid to admit it! 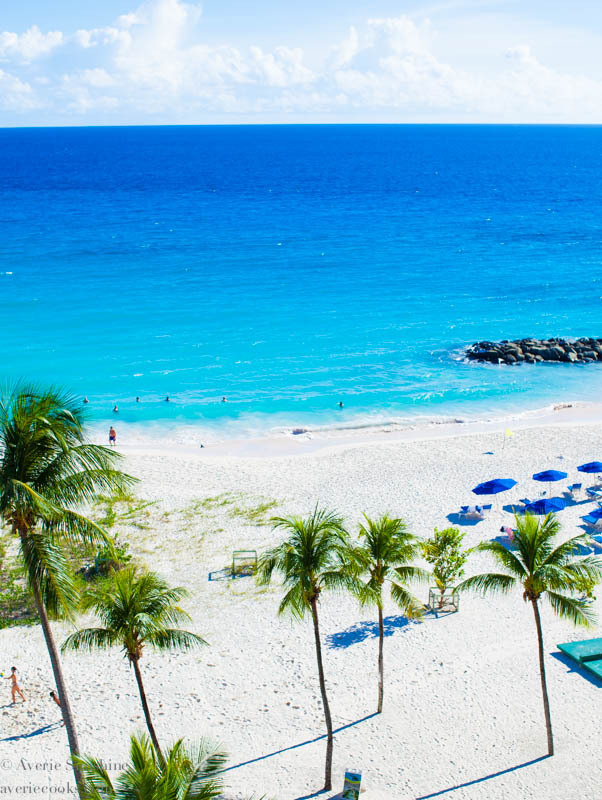 I want to go to Barbados now! That is the one thing we differ on – I am NOT a beer girl. Just means more for you! But you would have LOVED this festival, Sally! So many great things to eat, see, do – it was a blast! Wow, looks like an amazing event – so much food and fun! Great pics too! 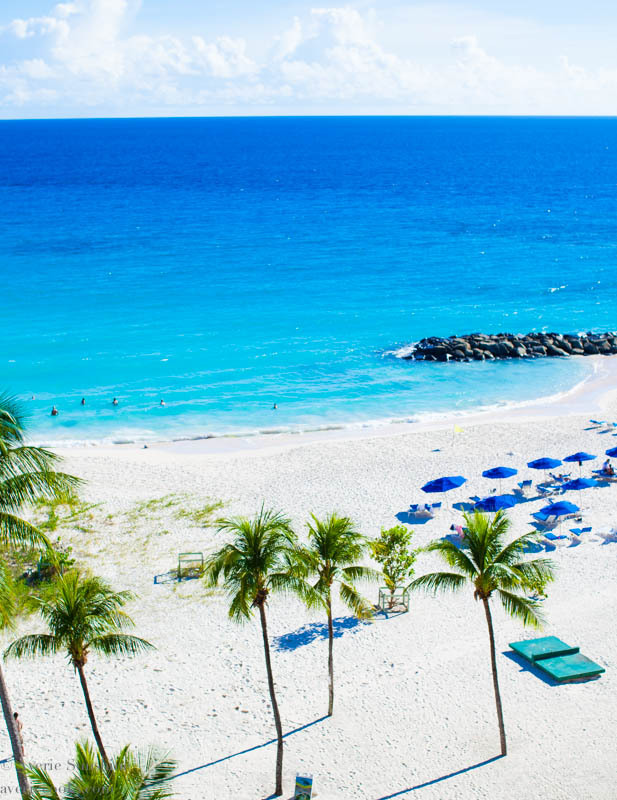 I love chef Marcus…and Top Chef so addicted to that show…never been to Barbados…but seeing your pictures view from your room makes me put it on my next travel to place…wow…and wow too the food and drinks look amazing! I love Top Chef, too! And the new Life After Top Chef – love em all! So cool! I’ve never been to Barbados, but I really want to go there one day. Great photos Averie and a good piece all together. Nice event.